With the Rio Summer Olympics starting tomorrow, there is a huge controversy about Russian participation. On the basis of a report by Canadian lawyer Richard McLaren (the ‘McLaren Report’), the World Anti-Doping Agency (WADA) has recommended the banning of all Russian athletes from the Rio Games. 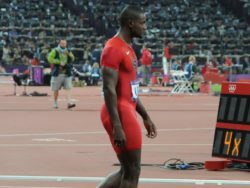 Before his report was even issued, McLaren influenced the International Association of Athletic Federations (IAAF) in its decision to ban all Russian athletes from track and field events, including those who never failed any doping tests, in Russia or elsewhere. The International Olympic Committee (IOC) has been under media pressure to ban all Russian athletes from the Rio Olympics. The New York Times has carried many reports and editorials. The Daily Mail in London went so far as to publish a back-page story falsely claiming the ‘entire Russian team banned from Olympics’ — two days before the IOC decision to the contrary. Ultimately, the IOC decided against banning all Russian athletes across all Olympic sports. They decided that that each sporting federation should decide the issue on its own. At the same time the IOC imposed special conditions on Russian athletes which prevent them from competing if they have ever tested positive, even if their suspension has already been served, unlike the rules for other Olympic competitors. In the wake of this decision, there have been aggressive attacks on the IOC and its President for ‘failing’ to impose collective punishment on the entire Russian team. • In February 2014, the Winter Olympics were held in Sochi Russia. The same month, 900 miles to the northwest, a bloody coup unfolded in Kiev, Ukraine. This led to Crimea seceding and re-uniting with Russia, which led to Western sanctions and rising international tension. 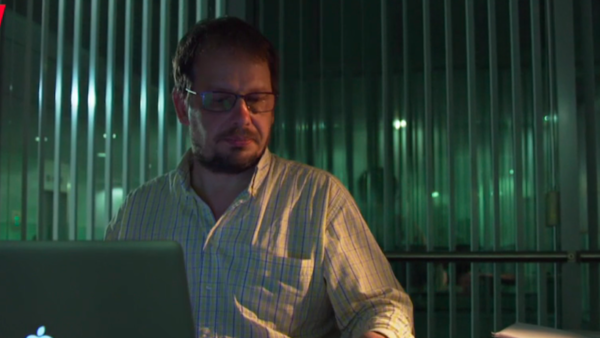 • In December 2014 , German TV network ARD showed a documentary ‘How Russia Makes its Winners’ (video below) by Hajo Seppelt. The documentary includes interviews with Vitaly and Yuliya Stepanova. 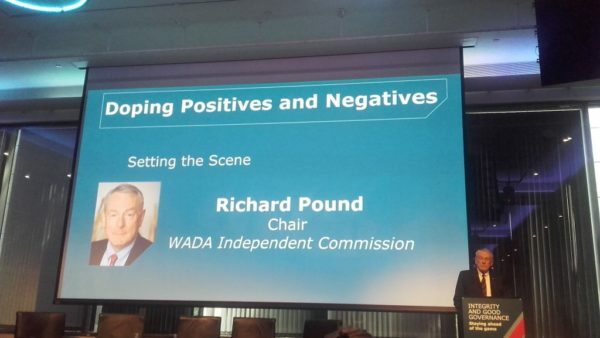 In January 2015, WADA established an ‘Independent Commission’ to look into the ARD documentary allegations. • In November 2015, the WADA Independent Commission released a 300+ page report claiming widespread use of performance enhancing drugs (PEDs) in Russian athletics. The report recommended the prohibition of numerous athletes, coaches and trainers plus de-certification of Moscow Laboratory and firing of its director, Dr. Grigory Rodchenkov. • In December 2015, Russian authorities suspended or fired numerous officials and asked to see the evidence which WADA’s accusations and assertions were based on. Dr. Rodchenkov emigrated to the United States. • In early May 2016, the American TV program 60 Minutes broadcast the results of an investigation into Russian doping primarily based on testimony from Vitaly and Yuliya Stepanov, now living in the U.S. The New York Times published articles about Russian doping test manipulations based on Dr. Rodchenkov. • On 19 May 2016, WADA appointed Richard McLaren to investigate the media allegations. On July 16, 2016, just three weeks before the start of the Rio Olympics, WADA published the McLaren report. • The report relies primarily on the testimony of the chief culprit, Dr. Grigory Rodchenkov. The Independent Commission found Rodchenkov to be ‘at the heart of the positive drug test cover-up’. While it’s possible that Rodchenkov is truthful, it’s also possible he is lying or misleading others to redirect responsibility away from himself. • The report asserts that Rodchenkov is credible and truthful with little demonstrated proof. The November 2015 Independent Commission report concluded that Dr. Rodchenkov was not credible. The fact that Rodchenkov was aware of techniques for manipulating test results is not evidence of State control; he was the main culprit. The former director of Moscow Laboratory has admitted his involvement in urine sample swapping, the design of a steroid cocktail not easily traced, and more. He was instrumental in helping some athletes cheat the system. He is the person with most motivation to implicate others, especially higher up. The fact that Rodchenkov was involved in extorting athletes for money suggests opportunism, not integrity. • The investigation did not consider the factual corrections or counter-arguments of Russian authorities. McLaren writes: ‘The IP did not seek to interview persons living in the Russian Federation […] I did not seek to meet with Russian government officials and did not think it necessary.’ Since the Russian Ministry of Sport and other agencies are accused of serious violations in this report, this is a strange absence and strong evidence of bias. It is a basic standard of fairness to hear both sides of a controversy before reaching a conclusion. Since one of the main purposes of the investigation was to determine the truthfulness of Rodchenkov’s accusations, this decision to not consider the ‘unsolicited’ information is shocking. Even as the investigation was drawing to a close, it should have been possible to include such information in the final report, as WADA did with a January 2015 letter supplied by Rodchenkov, which was later removed. It should also have been mandatory to evaluate the arguments and information coming from Russian authorities. • As reported by The Sports Integrity Initiative, there are numerous inconsistencies in the McLaren Report (officially named the IP report). For example: ‘The IP report appears to contain two different versions – both from Rodchenkov – about how “protected” Russian athlete samples were able to be identified at the laboratory’. Also: ‘The IP Report and IO Report contain conflicting accounts of how samples taken at the Sochi 2014 Olympics were consolidated for shipment to the laboratory’. These unexplained contradictions, not noted by McLaren, reflect adversely not only on Rodchenkov’s credibility, but also the credibility of the investigation. • Curiously, the primary ‘whistle-blowers’, Vitaly and Yuliya Stepanov, are not interviewed for the report. They appear prominently in the ARD videos and the 60 Minutes report. In those appearances there are more contradictions. In the 60 Minutes report, Vitaly is described as a ‘low level’ doping control officer. In the ARD movie (‘How Russia Makes its Winners’) Vitaly is described as an adviser to the Director General who worked personally with Minister of Sports and was a trainer of doping control officers. In both documentaries, Vitaly comes across very sympathetically and is only concerned with ‘clean sport’. However at 5:45 of the first Seppelt video, above, we learn that Vitaly was procuring the drugs and helping his wife Yuliya cheat (see below). In fact, Vitaly and Yuliya Stepanov only joined the anti-doping crusade after Yuliya was caught doping through the Athlete Biological Passport (ABP) system. • The investigation was neither thorough nor comprehensive. The McLaren investigation had a mandate to carry out a ‘thorough and comprehensive investigation’ to corroborate or refute the public allegations of Dr. Rodchenkov. McLaren acknowledges that: ‘The compressed time frame in which to compile this Report has left much of the possible evidence unreviewed. This report has skimmed the surface of the data.’ By relying primarily on testimony and evidence provided by Rodchenkov, and excluding testimony and data from Russian Ministry of Sports officials, it is clear the investigation was neither thorough nor comprehensive. • The McLaren Report fails to identify specific cheaters and instead casts suspicion on all Russian athletes. 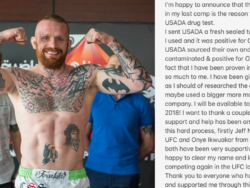 The investigation had a specific mandate to ‘Identify any athlete that might have benefited from those alleged manipulations to conceal positive doping tests’. (p. 3) Instead of doing that, McLaren is vague about the exact number of cheaters. The McLaren report states: ‘The IP investigative team has developed evidence identifying dozens of Russian athletes who appear to have been involved in doping. The compressed time-line of the IP investigation did not permit compilation of data to establish an anti-doping rule violation.’ However despite this, the report has effectively smeared the reputation of innocent and clean Russian athletes. • The McLaren report ignores WADA statistical data regarding test violations. Data from WADA, analysed by The Sports Integrity Initiative, shows that while Russians had the most overall test violations, numerous countries including Belgium, France and Turkey have higher percentage of test violations given the number of athletes and tests. This is factual, not anecdotal information that should have been referenced in an objective report. The McLaren report and WADA decisions have been excessively influenced by sensational and exaggerated media reports. Vitaly and Yuliya Stepanov have been the explosive witnesses whose testimony is portrayed uncritically in the ARD and 60 Minutes videos. This is exaggerated and false. It denies the existence of clean Russian athletes, the intense training and honest hard work of many Russian athletes and coaches. It has fallen on people like world record holder Yelena Isinbaeva to challenge the false assertions and question why she is being punished. Doping is a longstanding problem in many countries. Some of the most spectacular examples include Ben Johnson (Canada, 1998), Marion Jones (USA, 2000), and Tyson Gay (USA, 2013). As previously mentioned, WADA statistics confirm that doping is a global problem. In 2011, a scientific study estimated that 29% – 45% of over 2,000 elite track and field athletes competing internationally were doping. The IAAF, which had initially commissioned the study, subsequently tried to suppress it. Yes, doping is a problem in Russia, as in many countries. Russian authorities acknowledge this and have taken significant efforts to clamp down and stop the doping. Russia argues that if there are still some cheaters and violators, that does not negate the overall positive trend. Following WADA’s Independent Commission report in late 2015, Russian athletes have been tested through international certified laboratories. 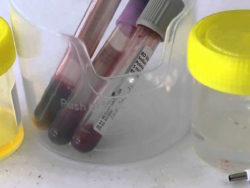 The frequency of testing has increased in an effort to demonstrate compliance with anti-doping rules and regulations. However, UKAD highlighted significant obstacles to its efforts to test Russian athletes through a WADA report issued in June. Evidence was also uncovered that banned coaches were still operating in Russia. The nature of such evidence corroborates that attempts to circumvent the testing system have taken place, which may be systemic. Although serious, they are not concrete evidence of doping. McLaren’s recommendation is based on this evidence confirming athlete doping, and the recommendation that all Russians be banned from the Olympics ignores the legal principle that a person is innocent until proven guilty. On the other hand, equally compelling evidence could indicate that Russia’s ban is a politically motivated action. There have been allegations of corruption regarding the leadership of the IAAF. The most recent of these suggest that IAAF President, Sebastian Coe, accepted advice from Papa Massata Diack on his successful campaign to be elected as President of the IAAF while Diack was being investigated himself for alleged corruption. There is also evidence that Coe was untruthful before the Culture Media and Sport Committee of the UK Parliament investigating how much he knew about corruption at the IAAF prior to taking office as President. There are also allegations that he knew about corruption regarding the awarding of the 2017 World Athletics Championships to London; as well as French investigations into allegations of corruption regarding the awarding of IAAF events to Eugene in Oregon. This suggests that the new broom sweeping through the IAAF under Coe may have an old handle. Although WADA has investigated allegations regarding Russia, it has not investigated how its own failings to deal with the situation may actually have made it worse. This lack of self-criticism suggests a body concerned with the protection of its own image rather than dealing with the problem. This is perhaps why the IOC has decided to make sanctioning ‘independent’ of sport during the Rio Olympics. However, whether sanctions issued by the Court of Arbitration for Sport, which is funded by sport and whose arbitrators mostly have links to the sporting bodies that fund it, is truly independent is a debate for another article. Has Russia become the scapegoat for these issues? Barely a day passes without an ‘anti Russia’ story in the media. One of the founding goals of the Olympic movement is to promote peaceful society instead of conflict. WADA has an important task that deserves support, but not if it becomes a politically biased crusade. As shown above, the McLaren Report has major deficiencies. The targeting of Russia and indiscriminate punishment of their athletes is a betrayal of the Olympic spirit. • This is an edited version of an article that originally appeared on Consortium News on 1 August 2016. To access the original version, please click here.